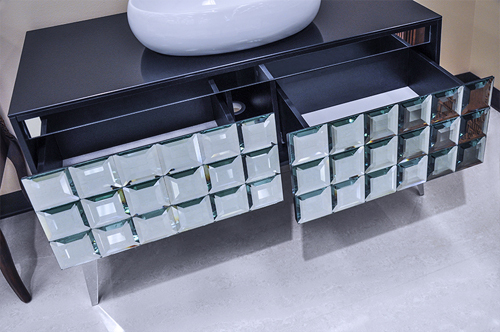 Name: Antoinette II - Modern Bathroom Vanity Set - 50"
The Antoinette II is a contemporary bathroom vanity set that embraces the latest thinking in modern bathroom design. Flexibility in configuration delivers an outstanding opportunity to control your bathroom size, look and overall appeal. 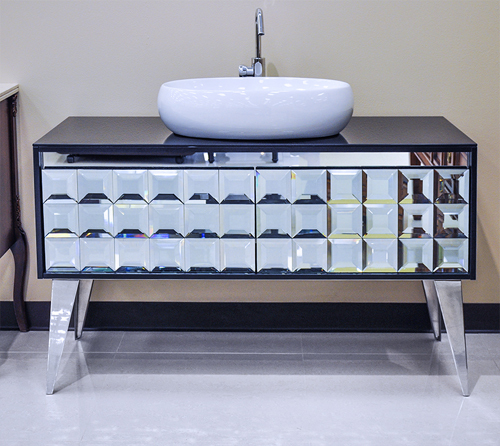 This modern bathroom vanity features fashionable Italian design coupled with contemporary and elegant Euro character. 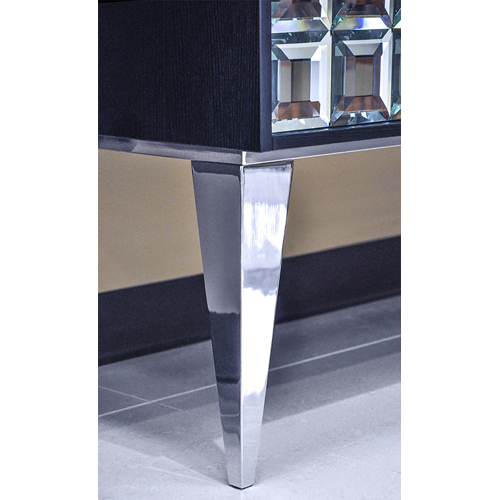 The bathroom vanity cabinet is made of solid wood, with beveled mirrors adorning the front of this beautiful piece. 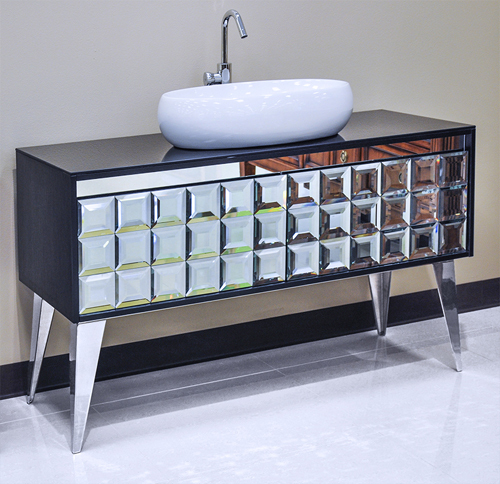 This modern bathroom vanity set includes a oval shaped sleek framed mirror and a white porcelain wash basin that sits on the black tempered glass countertop. 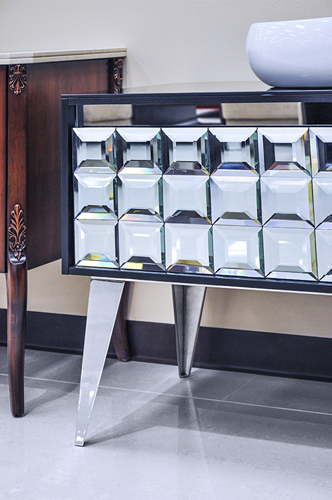 The included main cabinet allows for plenty of flexible storage atop its streamlined legs.